MICHAEL JACK SCHMIDT- An easy choice for #1 Phillie ever- a no-brainer pick. I thought about it for one second. In baseball history an argument could go on for hours about for example who the best catcher is- Bench? Yogi? Josh Gibson? Campy? A more recent player like Rodriguez? 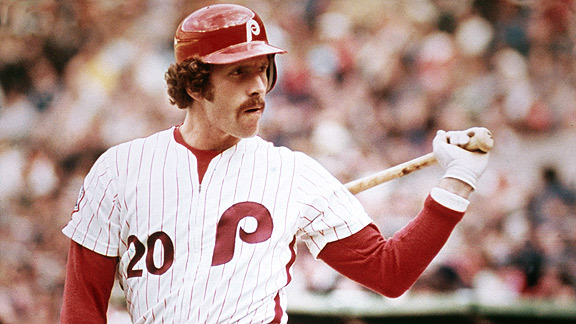 At third base there is not much of an argument- most will agree the answer is Mike Schmidt. Today it seems that fans and teams expect immediate results from a rookie. Mike Schmidt’s first full season he hit .196. The next season he led the league in home runs and hit .282. Schmidt would play his entire 18 year career with the Phillies. He would lead the NL in home runs eight times and in RBI’s 4 times. He ended up with 548 career home runs and a lifetime batting average of .267. Not only was he a great hitter but he was a ten time winner of the Gold Glove at third base. Being a Pirates fan I hated the Phillies the Pirates eastern division rival back then- but I have to say except for when they were playing the Pirates I enjoyed watching him. Third base up until Schmidt and George Brett came along was an historically weak position- Eddie Mathews, Brooks Robinson and Ron Santo would have been the greatest third basemen ever if there was an all-time team made in say 1975. Since that time third base has become a marquee position- not only Schmidt and Brett but Chipper Jones, Adrian Beltre, Wade Boggs, Scott Rolan among others. 2. 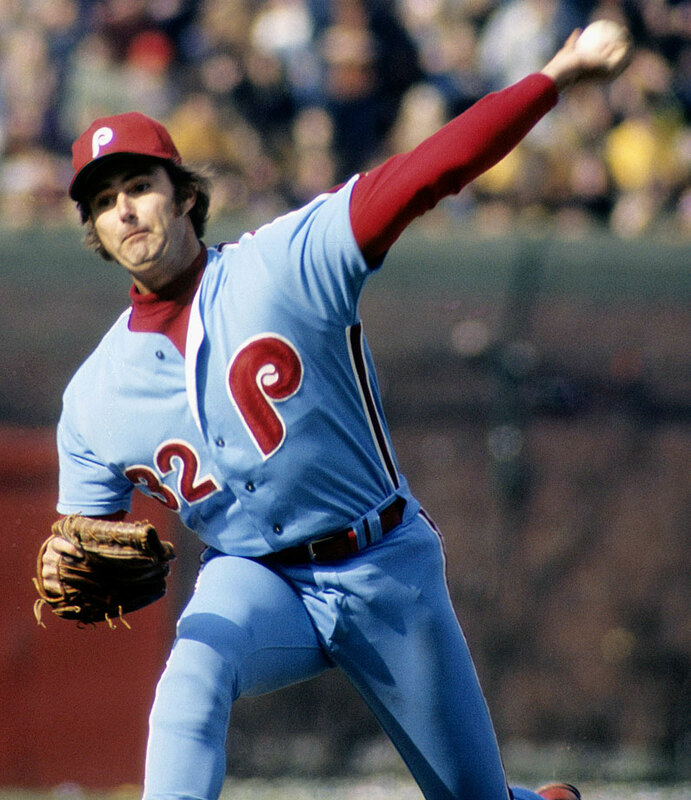 STEVE CARLTON- Lefty pitched in 24 seasons but will be remembered for his 15 years in Philadelphia. The best trade in Phillies history was the trade which sent Rick Wise- a fine pitcher- to St.Louis for Carlton. In his first year Carlton won 27 games- and the incredible thing is he won 27 games on a team 59 and lost 97. With the Phillies he had 5 20 wins or more seasons and won 241 of his 319 total wins with them. While I would go with Tom Seaver as the best pitcher of that era in baseball- I”d pick Lefty as the best left handed pitcher. Again, like Schmidt while I hated the Phillies I admired Carlton as a pitcher and he gave my Pirates fits. A ten time All-Star, he won 4 NL Cy Young Awards -all with Philadelphia. Carlton was famous for not talking to reporters- after the 27 win season- the next year he lost 20 and was heavily criticized in the press- at least he thought so unfairly so he quit talking. Late in his career when he was just hanging on for a number of teams he started being friendly with them again- which brought on a great quote- “He was saying hello when it was time for him to say goodbye”- wrote Philadelphia Inquirer columnist Bill Lyon. 3. 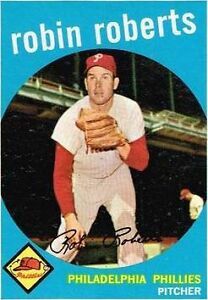 ROBIN ROBERTS- Roberts was an outstanding pitcher for the Phillies in the 1950’s- four seasons in a row he led the NL win victories. He won 20 or more games 6 years in a row early on in his career. He pitched 14 of his 19 seasons with them. He won 234 games with some lousy Philadelphia teams. A 7 time All-Star- there was no Cy Young Award during his great seasons or no doubt he would have won a couple at least. Elected to Baseball’s Hall of Fame in 1976. 4. 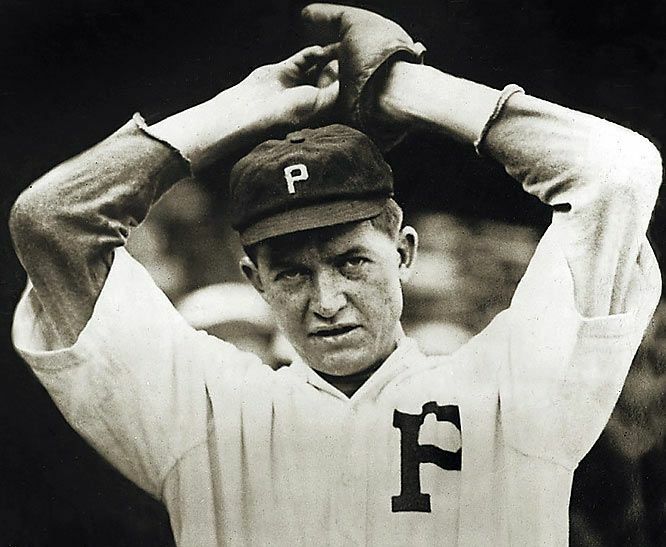 GROVER CLEVELAND ALEXANDER- Pete Alexander was a greater pitcher than Roberts and even Carlton but is #4 because he only pitched eight of his 20 seasons as a Phillie He won 190 and lost 91 in a Philadelphia jersey. In his career he won 373 games and has to be in the discussion at least for best pitcher ever. His first seven years where in Philadelphia and those were some of his greatest years- at the end at age 43 he finished up with them. You may have seen the movie about him- The Winning Team with Dutch Reagan playing him. Below from The Winning Team- 1952 movie starring Dutch Reagan and Doris Day. You got this list perfect. Those 70s Phillies teams were good. I think the most hated player as a fan- Larry Bowa- I couldn’t stand the jerk…but if he had been a Pirate he would have been a favorite! Yes I agree with Bowa. He was a loudmouth but he got every bit of ability out of himself. He was a pesky fella. You are right very limited ability but got everything out of what he had. I thought he would have been a good manager but his timing was wrong- should have been around 10 -15 years earlier. Yes kinda like Brett Butler with an attitude. The Bowa approach was out of fashion by the time he came along as a coach- manager. I thought Tim Foli was another one who would be a good manager- he was a coach for several teams but I think he had the same issues. It was no longer the era of the old crusty managers. I think Kirk Gibson failed for some of the same reasons… just too intense. Funny how managerial styles have changed- as times change. What was once the norm- certainly isn’t anymore. You are correct… It’s now juggling egos and going by numbers.